Columbus Georgia Criminal Lawyer Mark Jones often represents clients whose criminal charges stem from a traffic stop. In fact, the vast majority of all criminal cases stem from traffic stops. It has long been the law in the United States that in order to initiate a traffic stop, a police officer must have reasonable, articulable suspicion that a crime has been or will be committed by the driver. United States v. Cortez, 449 U.S. 411 (1981). Otherwise, the traffic stop is no good, and the evidence that flows from the traffic stop must be excluded as fruit of the poisonous tree. See generally, Amendment 4. A recent United States Supreme Court decision, Navarette v. California, (2014), essentially holds that anonymous tips support reasonable suspicion to initiate a traffic stop. This is contrary to Georgia law that has been on the books since the early 1990s. See Vansant v. State. The decision is also contrary to past United States Supreme Court precedent. In Navarette, the only evidence to initiate a traffic stop was an anonymous tip that a white Ford F-150 had run the anonymous tipster off the road. The tipster reported the truck was heading southbound and informed the 911 dispatcher of the truck’s plate number. The California Highway Patrol stopped a truck matching this description and found 30 pounds of marijuana in the vehicle. Prior to trial, the attorney for the defendant moved to suppress evidence associated with the traffic stop due to the sole basis for the stop being an anonymous tip. The trial judge denied the motion, and the California Supreme Court affirmed. 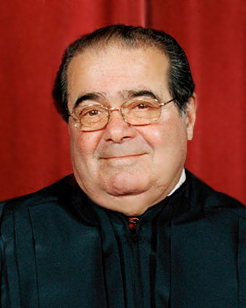 As Justice Scalia notes in his vehement dissent, “eliminating accountability is ordinarily the very purpose of anonymity” and an anonymous tipster “can lie with impunity.” (Scalia, J. dissenting at *2). Indeed, for this reason, the Georgia Supreme Court has held on similar facts that there was no reasonable articulable suspicion to support a traffic stop. The Georgia Supreme Court’s approach is the proper adherence to traditional law associated with the Fourth Amendment. Hopefully, this decision by the Supreme Court will not remain on the books for long. What is an Initial Appearance in Federal Criminal Cases in Fort Benning Georgia?